Tinnitus, or a ringing in the ears, is an affliction that strikes a large percentage of the population. Because tinnitus is a symptom rather than a disease, treatment should focus on the underlying cause of the problem. There are many possible causes of tinnitus. These include hearing loss, noise exposure, hypertension, stress, migraines, head or neck trauma, Meniere’s disease, impacted earwax, ototoxic medications and benign tumors. The exact cause isn’t always known. Those who suffer from tinnitus can experience side effects such as fatigue, loss of sleep, memory and concentration problems, anxiety, irritability and depression. 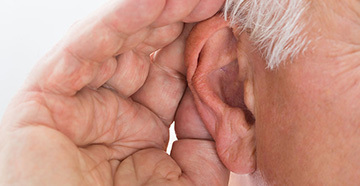 When the condition responsible for tinnitus can’t be identified or improved with medical treatment, the goal is to habituate the patient through a combination of counseling and masking techniques. Counseling educates the patient on the causes of tinnitus and teaches a variety of coping mechanisms. Masking techniques are designed to produce low-level background sounds that “train” the brain to deemphasize the ringing in the ears. These include white noise generators, tinnitus retraining devices, music therapy devices and appliances in the home (air conditioners, fans, radios). 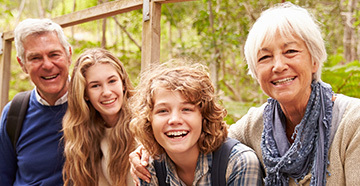 Some patients use their hearing aids to mask the background sounds of tinnitus. By turning up the volume, they are able to adjust the contrast between silence and ringing noises in the ears so the brain spends less time focusing on the tinnitus. Others find stress management to be helpful. In particular, this can help reduces anxiety and lead to a better night’s sleep.